In a recent article in the Vail Colorado Daily, Jim Frasché points out that the adage “War is Hell” is a particularly apt phrase when talking about the 30+ year conflict the Afghan people have endured. They have lived through ethnic cleansing and regional opportunism stemming from the Country’s location at the crossroads of trade, technology, culture and faith. They have been victimized by weapons dealers and those seeking to gain wealth from the drug trade. The country has vast, yet largely untapped natural resources - natural gas, minerals and water – and cooperative management of this wealth is critical to regional security. It is bordered on the east by Pakistan, an unstable, nuclear armed state in domestic turmoil and on the west by Shiite Iran, an aspiring nuclear power. It is a Muslim country with a population that is approximately 80% Suni and 20% Shia. A large percentage of its population is of Pashtun ethnicity (an ethnicity shared by significant numbers of people in western Pakistan) and many on Afghanistan’s northern border may feel more kinship with their northern neighbors, Turkmenistan, Uzbekistan and Tajikistan than they do with Afghanistan. And on September 11, 2001, the country found itself in the cross hairs of a good part of the non-Muslim world. The “War on Terror” officially began and in October of that year, President George W. Bush announced the invasion of Afghanistan, “Operation Enduring Freedom” and its goal of ensuring that Afghanistan would no longer be a “safe haven” to Al-Qaeda and that the Afghan territory would no longer serve as the base of operations for anti-U.S. terrorist activities. As we approach the 10th anniversary of “9/11”. Jim will share his thoughts about the present level of U.S. involvement in Afghanistan, whether the path our country is on is the right one and whether, and under what circumstances, the goals of our involvement can be met. Jim’s first visit to the Middle East began in 1971 and lasted 5 years. He drove many trips from Iran and Afghanistan to Germany and Denmark trading in carpets heading west and in appliances and power tools heading east. He worked for U.S. AID; he served as an English teacher and curriculum writer in Tehran, and as a tour guide for the Hotel Intercontinental in Kabul. 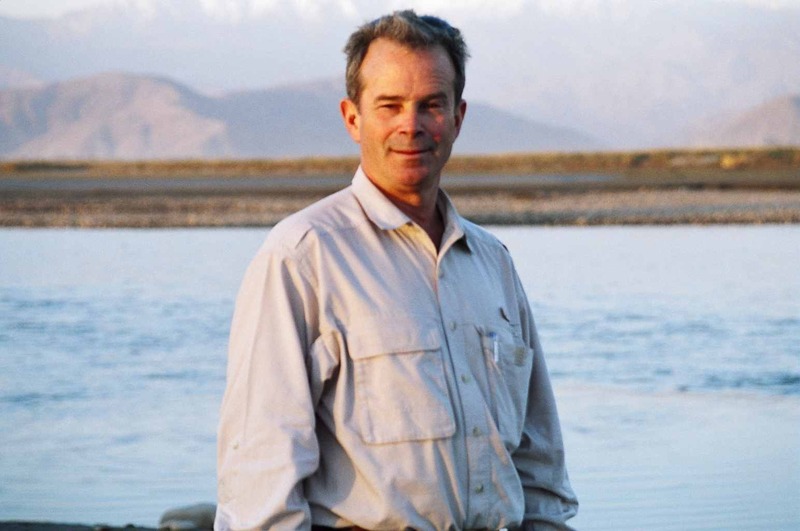 In April, 2003, Jim returned to Afghanistan and founded and operated a bottling company, Afghanistan Natural Beverages, in Kabul. His goal was to provide safe drinking water to local markets and the international community. Concurrently, he served as Deputy Director of The International Foundation of Hope, an American NGO engaged in opium poppy crop substitution programs. He returned to Denver in December, 2007 after his landlord was kidnapped and his presence in Kabul posed a security risk to his employees. Jim is Chief Operating Officer of Shelter Homes, a Denver manufacturer of emergency and transitional housing structures for the international disaster relief community. He holds a BA in Anthropology from Colorado State University and a MIM from the American Graduate School of International Management.